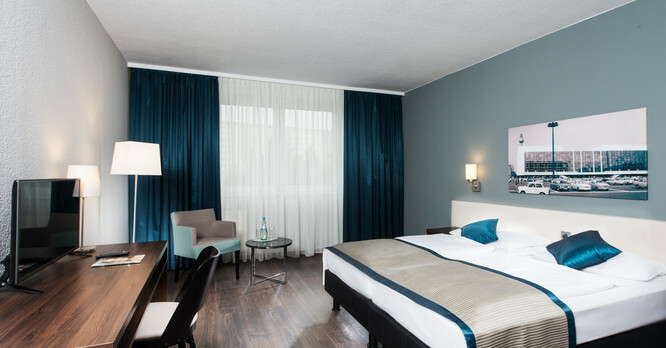 How do I reah the City Hotel Berlin East from the airport in Berlin? From the highway take the exit „Dreieck Nuthetal“ on highway A115 towards city center „Zentrum“. Then take the exit “Kaiserdamm” and turn right on Kaiserdamm. Keep right when you reach the Brandenburg Gate and drive onto “Unter den Linden”. At Alexanderplatz turn right onto Mollstraße. That street changes to „Landsberger Allee“. 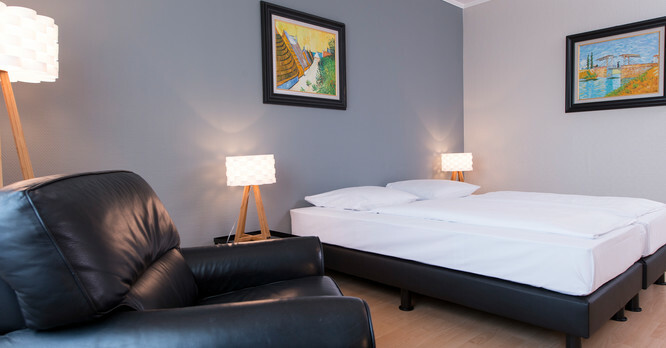 The City Hotel Berlin East is located at the corner of Landsberger Allee/ Weißenseer Weg. From the main station Berlin you take the subway line S5, S7 or S75 until Warschauer Straße. There you change to the metro tram M13 and drive until the station "Landsberger Alee/ Weißenseer Weg"
Yes. 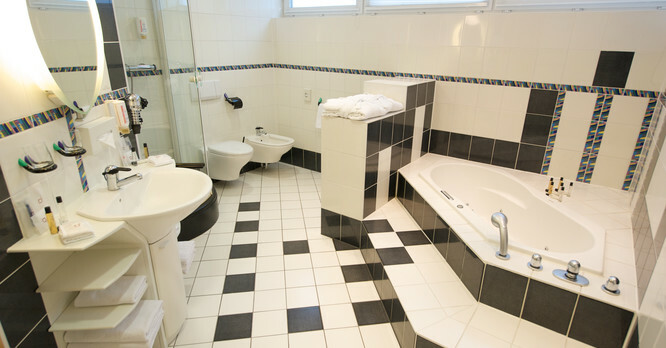 Right in front of the City Hotel Berlin East there is a large parking space for our guests. The fee is 13 € per day per car. Your hotel room at Berlin City East is available for you at 3 pm on arrival day. We kindly ask you to leave your hotel room at 12 am on the departure day. Does the hotel offer something to eat? 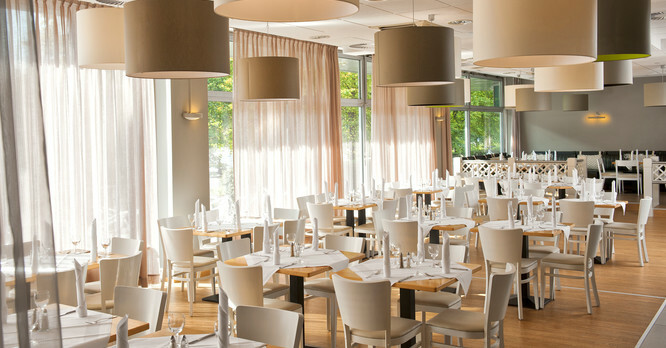 In our lifestyle hotel in Berlin we have one restaurant for our rich breakfast buffet. 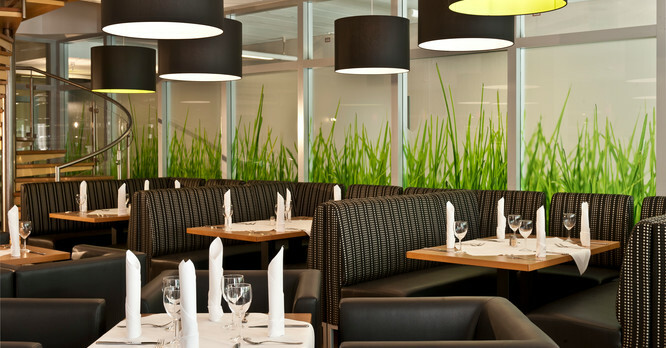 In the restaurant “Grenzlos” we serve you delicious Berlin specialties for lunch and dinner. The exact opening hours can be found here. Are there WiFi connection at the hotel? In the entire hotel WiFi is available for our hotel guests free of charge. All children under 9 years stay free of charge when using existing beds. All children under 2 years get a free children's cot on request. What kind of credit cards does the City Hotel Berlin East accept?